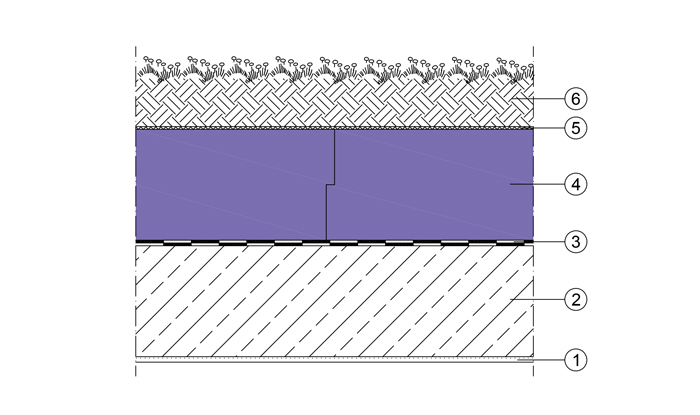 JACKODUR: Sustainable insulated flat roof as the basis for a healthy urban climate. 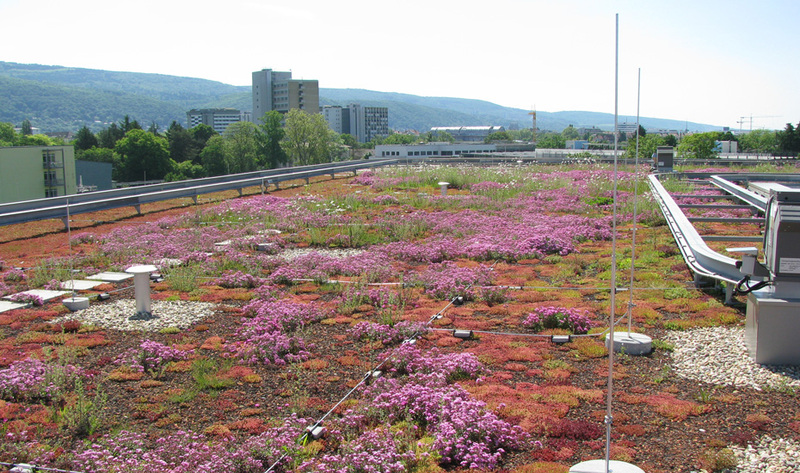 A green inverted roof supports an enhanced urban ecology. In its green inverted roof configuration, the JACKODUR inverted roof is a pioneering trend. Because today roofs do more than just cover spaces to protect them from the elements, they also create useful “roof spaces” for leisure and recreation and a sustainable quality of life. 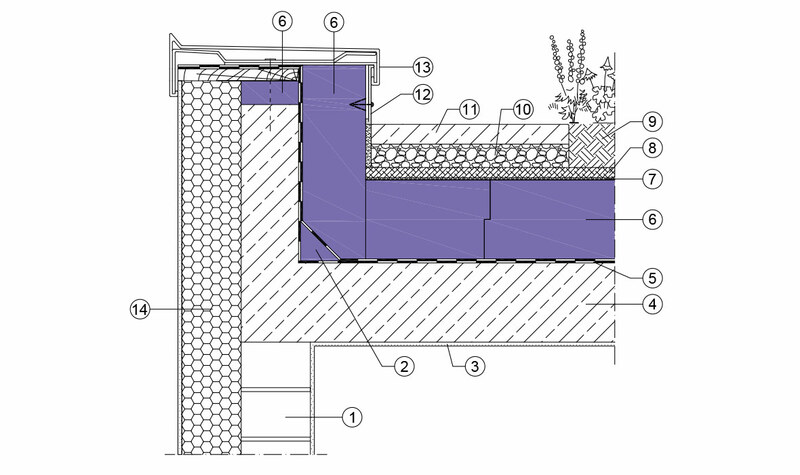 The basic flat roof as an inverted roof construction provides safety, energy efficiency and durability. 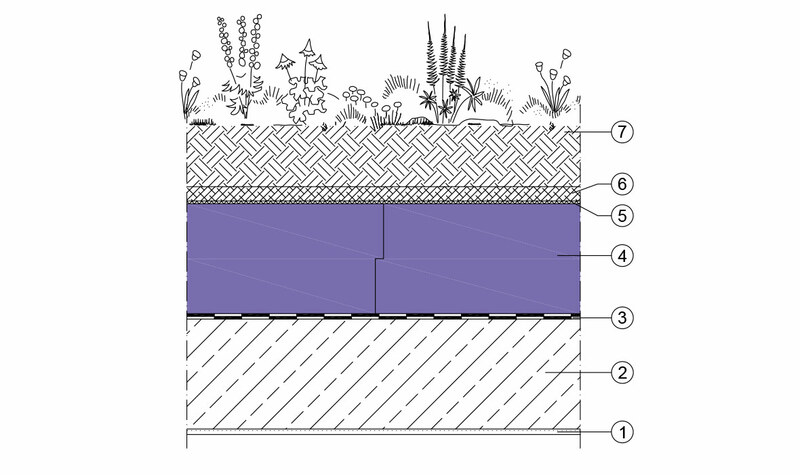 The high compressive strength insulation system JACKODUR and JACKODUR filter layer WA are an ideal basis for versatile design options, enabling planners and architects to develop solutions concepts with form and function ranging from a simple green roof as ecological compensation areas to intensive roof greening as garden facilities. In addition, green roofs are an essential component of rainwater management. 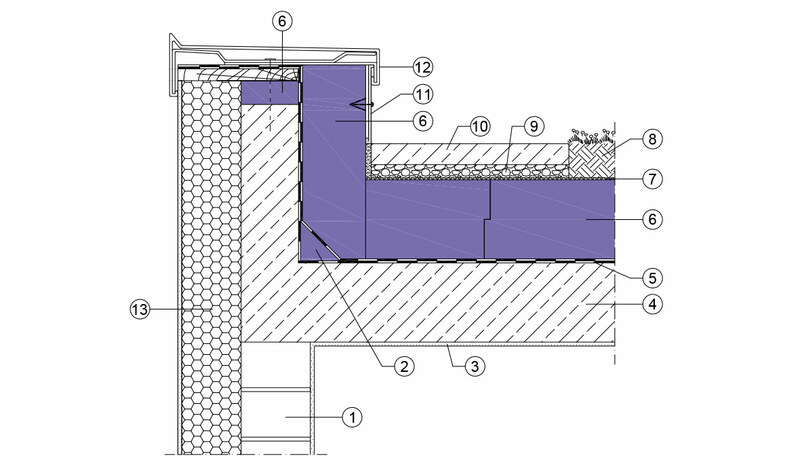 JACKODUR® filter layer WA The water-repellent filter layer for inverted roofs.